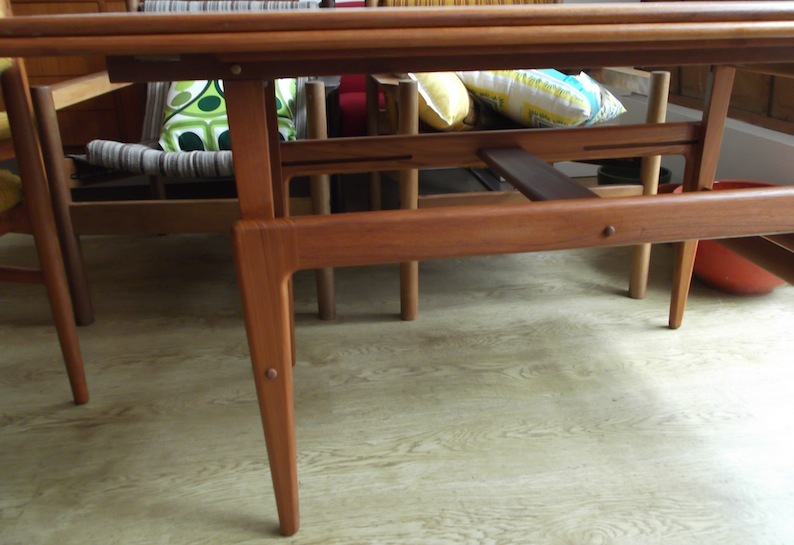 This ingenious design converts from a stylish Danish modern coffee table to a dining table with a lift mechanism and two extension leaves. 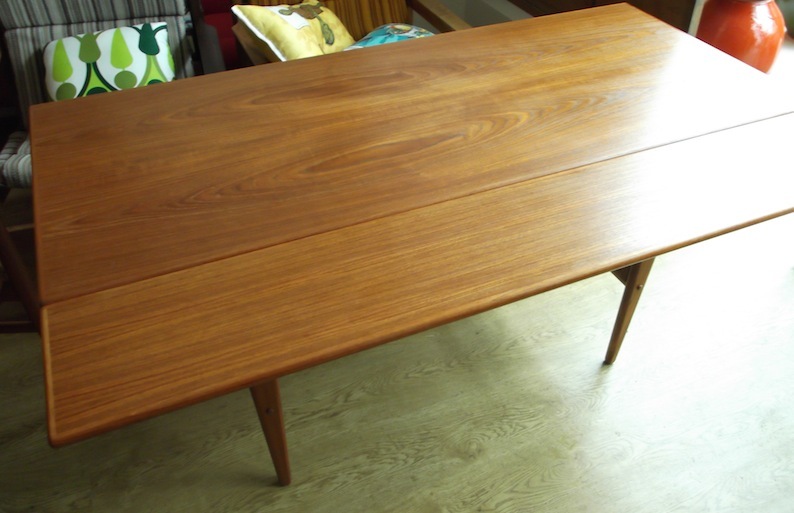 It sits about 20mm lower than a normal dining table so could possibly have been designed as a bridge table originally. Most Danish style dining chairs still sit underneath comfortably. 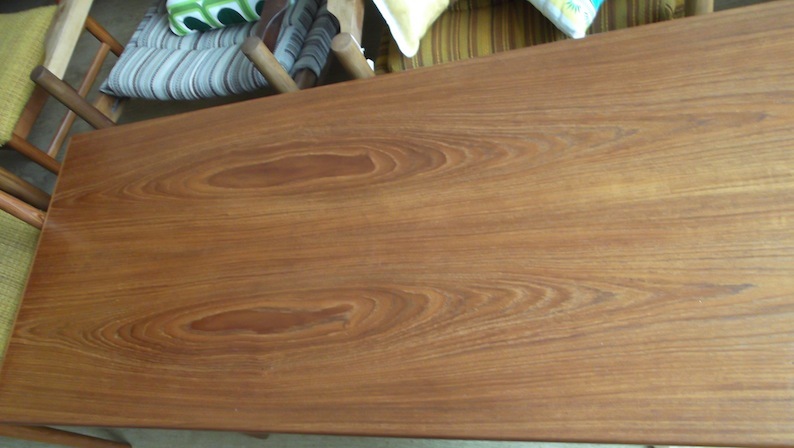 It would be perfect for a flat where it could be an every day coffee table and pulled out when you have a dinner party or poker night. 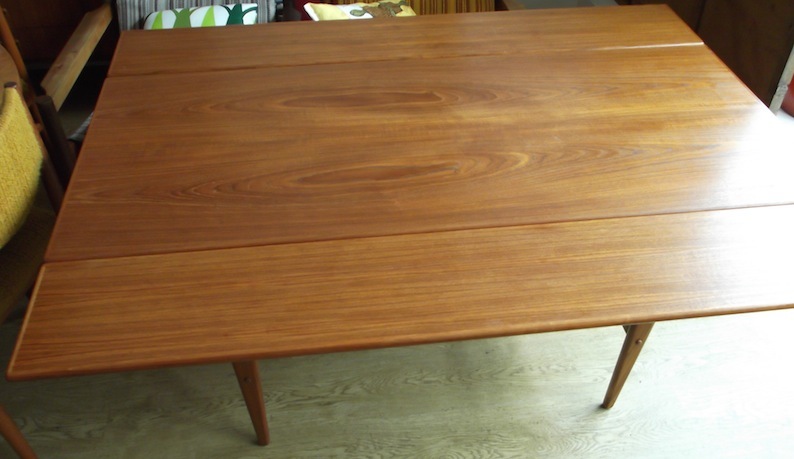 Fully restored in aDanish oil finish over amazing veneer and quality teak frame.